Kingfishers are possibly my favourite birds, and I spend many hours watching them at the Welsh Wildlife Centre here in Pembrokeshire. 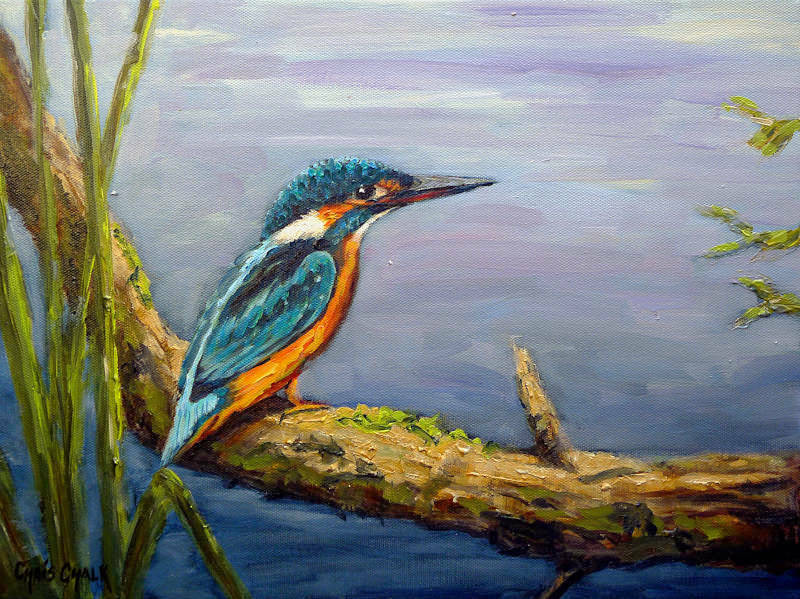 This kingfisher painting is of one of those beautiful birds, perched on her favourite fishing branch in all her glory. The iridescence of a kingfisher's plumage is simply stunning, and is one Britain's most colourful birds. Find out more about the welsh kingfishers of the Teifi valley and see some of the kingfisher photographs I've taken this year here. "The Jewel of the Teifi"